Are you a cappuccino lover? 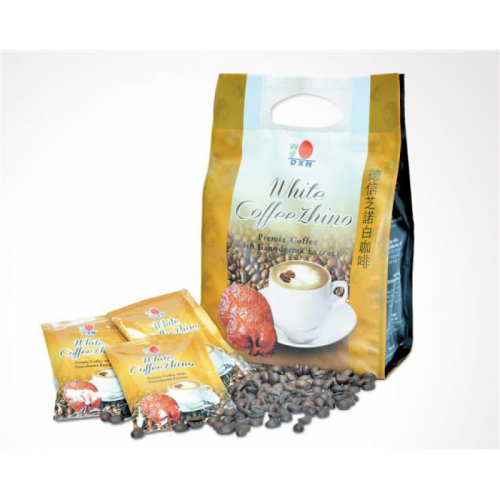 White Coffee Zhino, arguably the finest among the coffee blends, enchants daily coffee connoisseurs from all over the world. Forget everyday life with the pleasure of a soft and harmonious cappuccino topped by a smooth, creamy layer of foam. It owes its balanced aroma to high-quality, handpicked highland Arabica beans, refined with vegetable cream, fermented cane sugar, refined with Ganoderma extract. 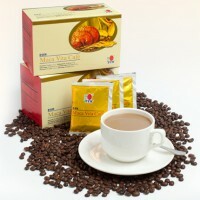 Treat yourself to something special with DXN White Coffee Zhino. Carefully packaged in small practical bags - prepared quickly and easily even on the go. For the special moments in your everyday life. You are free to enjoy this coffee with your family at home or with friends in the once without having to wait for a long time at a coffee house. 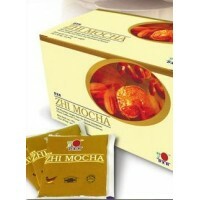 It is topped with a light layer of creamer foam and formulated together with Ganoderma extract. The inviting aroma of this instant cappuccino indirectly evokes a feeling of joy after you drink it. Do not miss the opportunity to try it as you will discover a delicious taste that will bring to mind the original cappuccino from Italy. 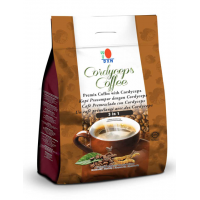 Cordyceps Coffee 3 in 1 is specially formulated from instant coffee powder added with Cordyceps extr..